STARKVILLE, Miss. -- Mississippi State University recently hired a peanut agronomist to serve the state’s agricultural producers. Brendan Zurweller, a native of Missouri, began his work in the peanut industry while pursuing a doctoral degree at the University of Florida. During his time there, he focused on a wide range of physiological and agronomic research under the direction of peanut scientists Barry Tillman and Diane Rowland.  As a peanut specialist with the MSU Extension Service and an assistant professor in the Mississippi Agricultural and Forestry Experiment Station, Zurweller delivers educational programs and conducts research designed to improve peanut production systems in the state. Zurweller earned his bachelor’s degree in environmental science and his master’s degree in soil science from the University of Missouri-Columbia. He earned his doctorate in agronomy from the University of Florida. In his academic career, Zurweller studied the impacts of agronomic practices on many crops, including peanut, cotton, corn and soybeans. He also worked as a postdoctoral research associate at the Center for Stress Resilient Agriculture at the University of Florida.